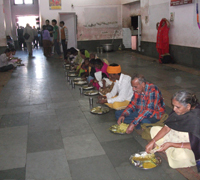 Temple trust provides free breakfast, lunch and dinner absolutely free of cost in its langar. Besides, one can also get 24-hour free meals by asking. 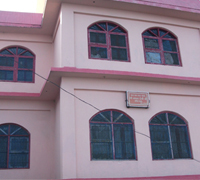 Trust has constructed the Patiala Dharamshala, langar and another motel near langar area that provides free staying facility to 1,000 devotees. 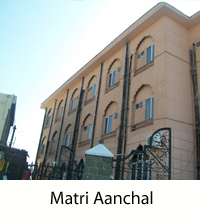 Temple Trust has also constructed “Matri Aanchal”, “Matri Chahya” and Matri Sharan” staying shelters with a capacity of 45 rooms and 14 dormitories. The cost of staying at these places is very nominal and affordable. 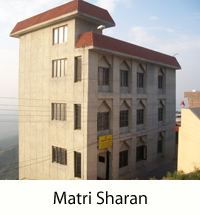 Shri Naina Devi does not have any starred hotel facilities. Reasonable accommodation can be found on the hill top. 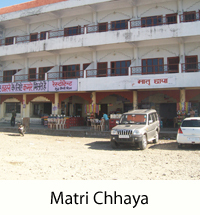 A rest house is located near the bus stand of Shri Naina Devi Ji. 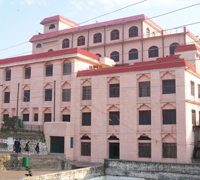 It is managed by Himachal Pradesh Government. Trust is running the shop no. 1 in the temple complex since 01-03-1994. 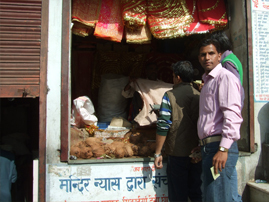 This shop provides pure ghee sweets to the visitors that include Halwa, Besan Laddoo, Jalebi and Barfi. This shop is running on a no-profit and no-loss basis & also provides other things like coconut, hara meva and dhoop, etc. Currently, 10 employees are working in the shop that includes 1 clerk, 5 salesmen, 2 helper and 2 cooks. 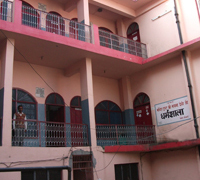 The shop is located on the main entrance of the temple.